Surgeon's new full-length, Luminosity Device, takes Bardo Thödol - the Tibetan Book of the Dead - as a starting point for a rhythmic journey into those interstitial spaces where body, mind, and soul no longer seem like distinct categories. It has the potential to turn anything from a club visit to a train commute, into a collision with the otherworldly. Since the 1990s, Anthony Child has been one of the most consistent and pivotal electronic music producers to use that craft as a tool for achieving transcendence. 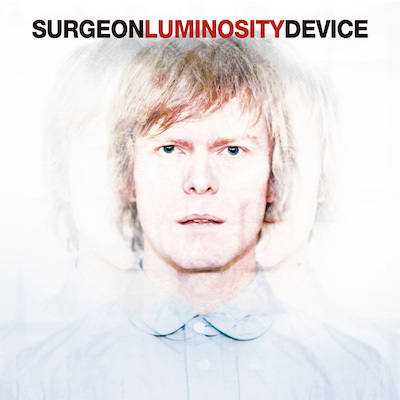 Under his aptly chosen DJing and production alias Surgeon, his technical precision and clarity of creative vision have resulted in a highly influential form of techno-mesmerism documented in exhaustive live sets and incisive studio recordings. His talent for wielding beats and sonic textures as healing technologies and as magical weapons simultaneously, and particularly for excelling in "long-form" treatments, has made him not only a key contributor to the legacies of touchstone labels Tresor and Downwards, but also a prized collaborator.